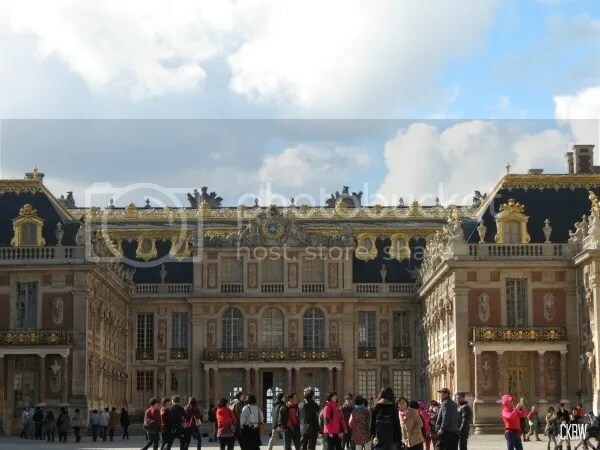 The palace of Versailles is just a hop, skip, and a half hour train ride outside of central Paris in a way that belies the income, cultural, and geographic divides of the 18th century it represents. In the 1700s it was a mere 12 miles outside of the city but an entire world away. 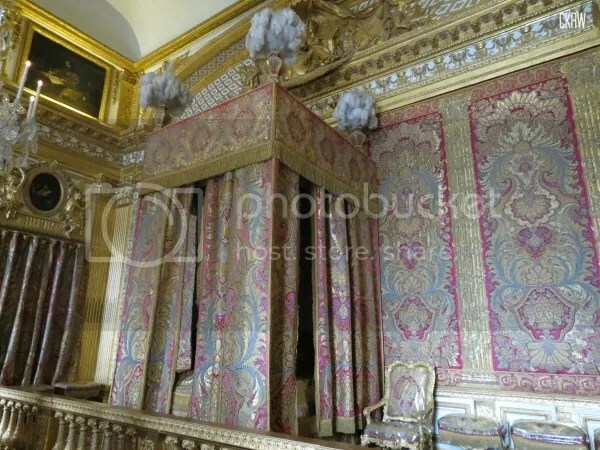 Versailles was a gigantic feat of social engineering as well as building design. 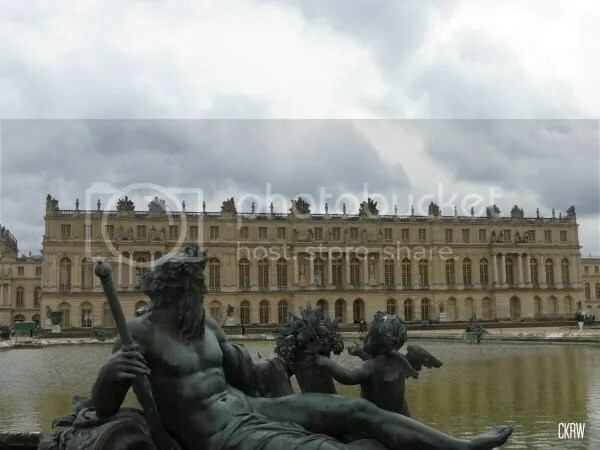 As chief gravitational force of his own private solar system, Louis XIV literally required his nobles to up sticks from their estates to come and wait on him personally hand and foot 24/7/365. Instead of living on and working their properties, managing their own affairs, or contributing in substantial ways to the French economy, the nobility lived almost entirely off of incomes supplied by the King’s government and existed in a perfumed, periwig-ed cocoon of privilege. 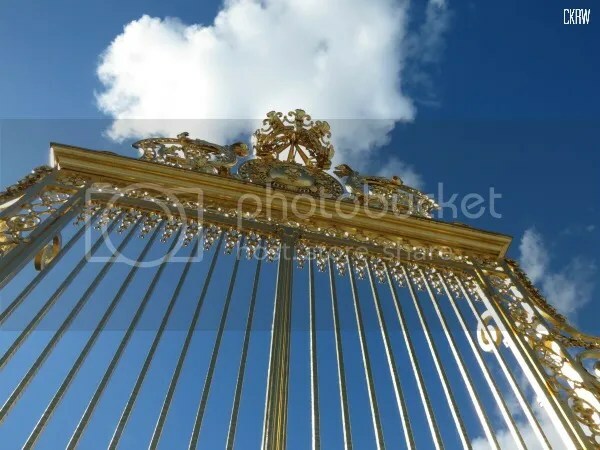 Meanwhile, outside of the (literally) golden gates, wars, economic collapses, and famine were doing their level best to flatten the commoners – who of course paid for all the upkeep since the nobility and clergy were exempted from taxes. 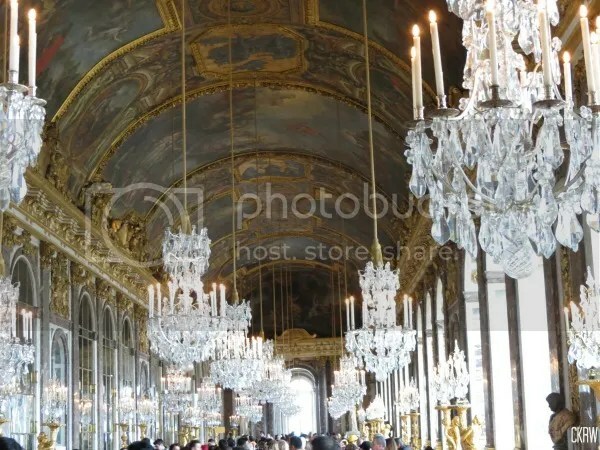 The justifiably famous Hall of Mirrors. Our trip to Versailles started off a bit sodden as the morning was gray, rainy, and quite chilly. But by the time we made it through the palace and out into the gardens the sun had burst out to warm us all up. We trekked to the Grand and Petit Trianon minor residences and meandered through the false hamlet built so that Queen Marie Antoinette could play at being a peasant maid (complete with Sevres china milk buckets of course), and then back along the grand canal where crew teams and romantic pairs were rowing on the once royal waters. 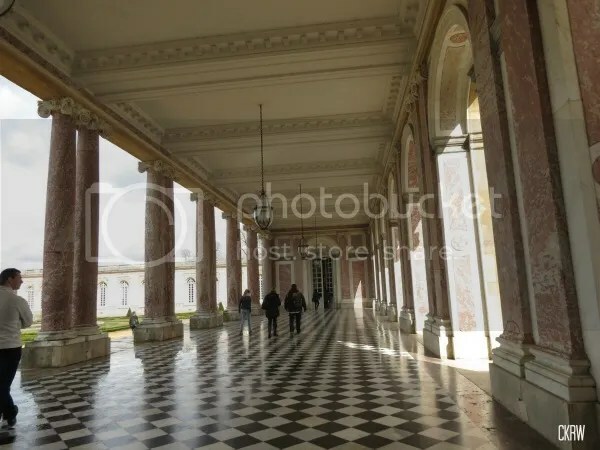 The gorgeous colonnade from the Grand Trianon. The last time I was at Versailles was about 8 years ago (*clutches self a little to realize that*) when my mother and I came here on a girls only vacation, so it was great to get an updated view of the site. a number of restoration projects are underway and new rooms have been made available to the public since my last visit. It makes for an excellent day trip, but do book tickets in advance if you can – especially if you go in the high tourist season! Katie, our expert traveler, booked tickets for all four of us in advance and we got to swan past the throngs of other tourists waiting in line. 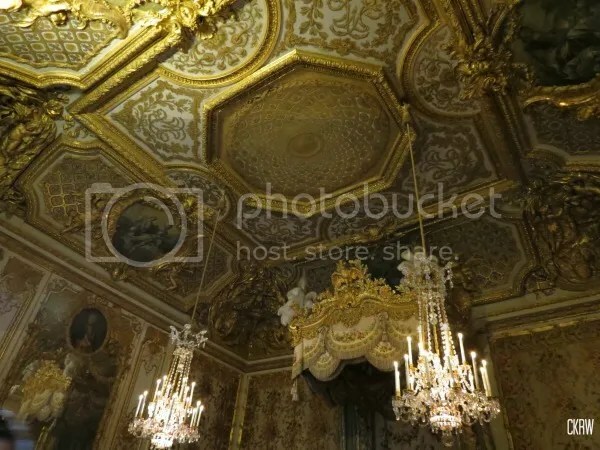 It costs under 10 Euros for two people to get to the Versailles Rive Gauche station on the RER-C line from the Notre Dame Metro stop, and the palace is a 5 to 10 minute’s walk away. There are simply too many stunning photos for one blog post so keep an eye on my Instagram feed for more snapshots of our meanderings through Versailles this week. I was there six years ago (*ditto clutching*) and loved it! I went in January and it was pretty much empty and amazing! I actually lost a member of my group in the gardens and we ended up leaving, only to find he’d made his way back to Paris on his own. We’d feared the worst! And by worst I assume you mean Madame La Guillotine! It’s rather odd, when I went years ago with my mother, it was high summer and gorgeous, but the site was virtually empty of people. This past weekend, a cold and somewhat rainy one in March was PACKED with people. There’s never rhyme or reason to touristy bits. Honestly.